Exclusive: Free Coupon Book for every customer!!! We are excited to offer a completely new factory outlet tour for Los Angeles tourists. This is a must do for serious shoppers in LA. Camarillo Premium Outlets are located in a 50 minutes drive from Los Angeles, in a beautiful city of Camarillo. Here you will find an exciting collection of 160 outlet stores from the world's leading designers and brand names, offering savings of 25% to 65% every day. We will help you out to find a right store for you and also advise on the latest trends in the world of fashion. Our tour is a quick and fun way to get the latest designer clothing and accessories. After the tour we will drop you off at your hotel. Camarillo Premium Outlet is located at 740 Ventura Boulevard, Camarillo, CA. Before the tour please join for free VIP Shopper Club and print valuable coupons to save your money. 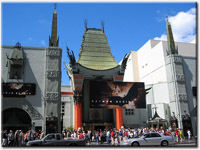 American Riviera Tours offers best shopping tour for Los Angeles visitors. This is a must do for everybody who intends to shop in Los Angeles CA area. If you have any questions, just drop us a quick note to info@latraveltours.com or call 1-800-761-1775, In Australia, call (03) 9005 5907. American Riviera Tours reviews. We will be glad to help you with the shopping tour in Los Angeles. Don;t miss the Memorial Day Weekend Sale at Camarillo Premium Outlet center. Enjoy Extra savings on top of already low outlet prices. your purchase of $200 or more*. April 17 through April 28, 2013. American Express is teaming up with Premium Outlets® to bring you this great offer. Securely sync your eligible American Express® Card with Facebook, Foursquare or Twitter to receive a one-time $10 statement credit when you buy $50 or more in Premium Outlets® | Simon® Gift Cards on-site at the center. * Visit sync.americanexpress.com to sync your Card. Gift Cards must be purchased on-site at centers. (If none present, buy at center management office.) Enrollment is limited. Offer valid from 08/01/2012 to 09/3/2012. Not valid for online sales. Terms apply. Camarillo Premium factory stores and outlets Labor Day Weekend sale, Friday, August 31 - Monday, September 3. Don't miss the Labor day Weekend Sale at Camarillo Premium Outlets and enjoy extra savings on top of already low outlet prices. Check the Sales and Events page for in-store promotions and extended sale hours. Plus visit Camarillo premium outlets VIP lounge for coupons from Bass, DKNY, J, Crew, Tommy Hilfiger, Coach and many more. Camarillo Premium Outlets Memorial Day Sale, Firday - Monday, May 25 - 28. Legendary Brands. Abundant Selections. Real Savings. Don't miss the Memorial Day Weekend Sale at Camarillo Premium Outlets. Enjoy extra savings on top of already low outlet prices.